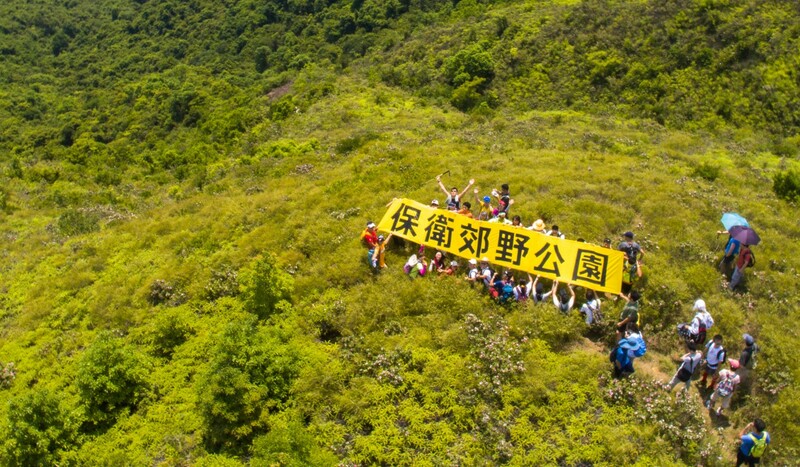 The government has already decided to develop housing in Hong Kong’s country parks and their consultation period is just for show unless the population rallies, claims Greenpeace. A task force has been set up by the government to examine a number of sites suitable for housing developments and while they claim to be objective, Greenpeace claims the government will not heed the Force’s advice and will choose the easiest option – the country parks. The conservation group acknowledges the need for more housing, but points to the brownfield sites as a better alternative, if the government were willing the take on groups with a stake in the empty lots. For hiker Andy Chu in particular – who works for Greenpeace – the value of the country parks far exceeds the tangible value of development. With the fast-paced nature of Hong Kong getting the better of him, hiking may have just ended up saving Chu’s life. So when Chu heard that the country parks were being considered for housing development it was a call to arms. He had already been working for Greenpeace fighting micro-plastic pollution but immediately knew that he “needed to work on this”. The Government has set up a task force to examine 18 sites in Hong Kong for development, such as country parks, golf courses, brownfield sites and farmland, to alleviate the housing crisis. The task force is in the midst of a six-month consultation period, but according to Chu and Greenpeace it is just for show and the government has already decided to develop the country parks. He said the other sites have specific parties that own or co-own the area, so can put up a fight, but because the Parks are owned by everyone and no one, it is hard to organise a resistance. Greenpeace has started a petition that has already gained over 20,000 signatures. “This people power is going to tell the government you are not going to take our country parks,” he said. The primary evidence that the government is not properly considering other sites lies in the brownfields, according to Greenpeace. The government has underestimated the amount of brownfield space – which is as much as 1,000 hectares – Greenpeace said. And what’s more, many of them have been used for illegal dumping of e-waste that the government is unwilling to tackle. As early as December, the government was eyeing the Parks and assessed that using 1 per cent of country park land for housing would free up 40 hectares for 7,500 flats, a source close to the task force said. “As to brownfield sites, any suggestion that there is reluctance to unleash their development potential and tackle unauthorised dumping or developments is unfounded,” a spokesperson said. The task force has in fact already advised the government that the country parks should meet a “very high” threshold to warrant development and urged the government to proceed with caution because of their place as an “invaluable asset”. The spokesperson said 540 hectares had already been earmarked for development, and that they were exploring 760 hectares of additional brownfield sites. Public engagement is in full swim and task force members are attending public forums, roving exhibitions, meetings and outreach programmes. But Chu is not convinced the government will heed the task force. He said a politician first raised the country parks as an option last year, but by April he was sure they were targeting country parks and believes they are already surveying an area in Tai Lam Country Park and an area near Sha Tin. Chu believes that once the country park ordinance is broken, it will pave the way for further development and bit by bit the land will be developed on. But with brownfield sites in particular there are other options. Whatever the government’s current thoughts are on the country parks, you can have your say against their development by signing the Greenpeace petition here. Are recycling bins in Hong Kong only for show?